In this moment you have a choice to hang on to your stories from the past or to let them go. What stories are you telling? 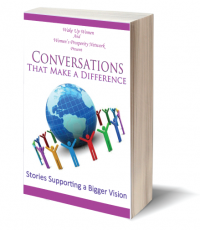 Click below to download the FREE conversations book, stories of personal inspiration, courage, insight, understanding, and hope for tomorrow! What journey are you on? Is it by your choice? Are you leading your life or is your life leading you?